Google is introducing a “missions” mode for Ingress, a massively multiplayer video game that requires players to visit real world locations. The new quests are similar to scavenger hunts, with a series of waypoints stringed together like walking tours. 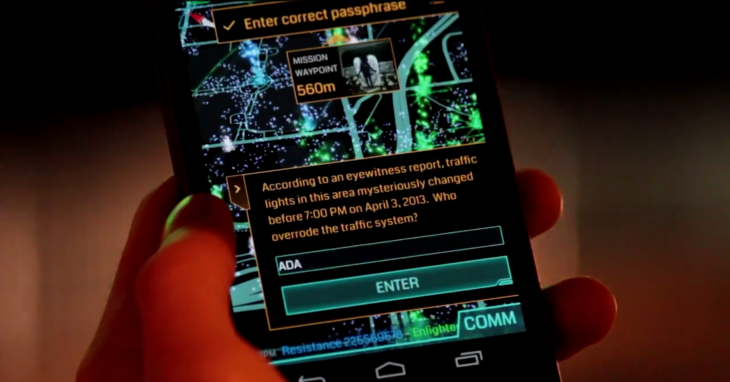 Some locations require that players use the Android or iOS app to complete a task, such as hacking or capturing portals, while others will offer puzzles for figuring out the next place on the route. To cater to the demand of its seven million strong community, developer Niantic Labs (owned by Google) is also giving players the tools to create their own missions. The privilege will be limited to a small group of players to begin with, but Google says anyone at level five or above will eventually gain access.